Discovery Software provides software solutions for a dynamic world. Discovery Software offers software development and maintenance in a wide range of applications including environmental issues, climate change, mapping and GIS, gaming and educational tools, healthcare database development and sports league management. 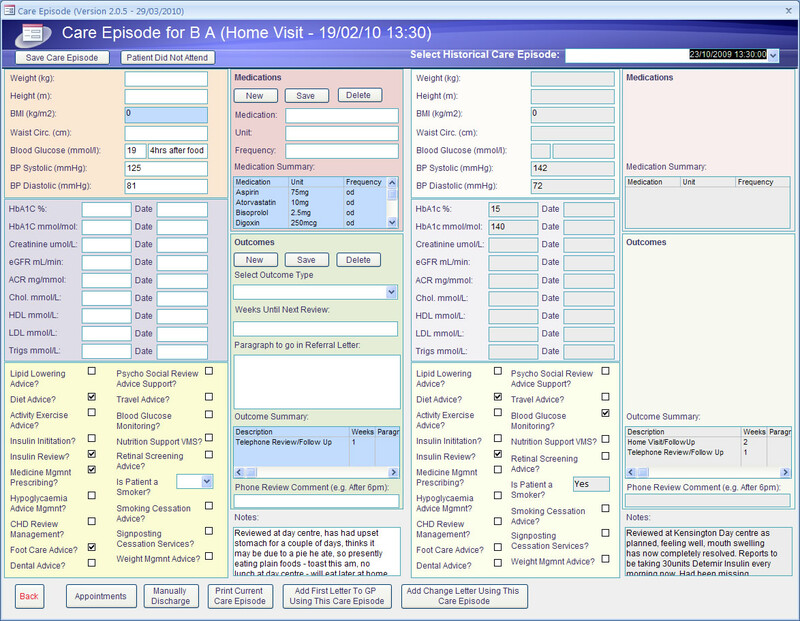 We also provide bespoke software products and websites to your specification. All of our products are affordable, reliable, adaptable and competitive. Please contact us if you wish to discuss any of your software requirements. 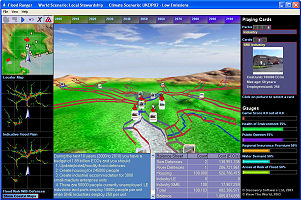 STEMgis is a Temporal Geographic Information System. It handles all common requirements of mapping software PLUS the additional dimensions of time and depth. STEMgis enables you to explore any spatial data throughout the four dimensions of space and time. 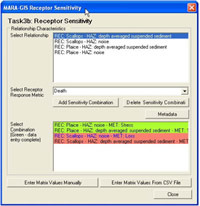 STEMgis has many unique tools that enable you to investigate multi-attribute data through time. 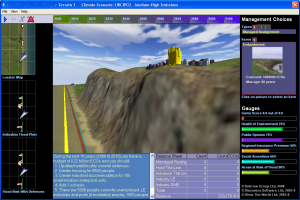 FloodRanger is an educational game about managing flood defences along rivers and coasts. It is aimed at flood defence practitioners, local authorities, insurers, universities and schools. The objective of the game is to defend urban areas and sites of special scientific interest while maintaining levels of housing and employment for an expanding population. 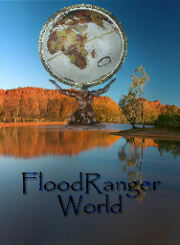 FloodRanger World is an extension to FloodRanger and enables you to create a FloodRanger game for anywhere in the world. 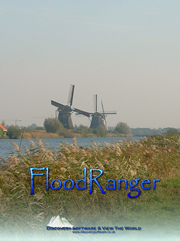 FloodRanger itself has been used in many different countries throughout the world by government departments, non-government organisations, universities, engineering companies. FloodRanger World gives you the opportunity to introduce your own data for your own area of interest, therefore finding strategies to cope with real-life flooding. This version will enable flood defence practitioners, local authorities, universities and schools to create more realistic scenarios to help with flood management in a practical way. The game allows ideas to be tested out in virtual worlds before millions of pounds are spent in the real world. People that live, work and play on the coast. Professionals involved in the management of the coast. Students of coastal management in schools and universities. 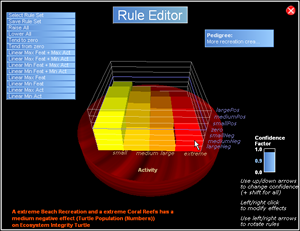 SimCoast is a fuzzy logic rule-based expert system designed to enable researchers, managers and decision-makers to create and evaluate different policy scenarios for coastal zone management. It is interdisciplinary and multi-sectoral. It aims to combine traditional and advanced specialist knowledge about coastal zones with a set of reasoning and analytical tools. Experts involved include engineers, natural and social scientists, law-makers, administrators, community and national leaders. Via workshops and consensus discussions, sensitive issues such as transboundary pollution and cross-sectoral socioeconomic effects can be translated into rules for policy formulation and decision-making. Flood Risk and Management in Estuaries, Promoting best practice in estuary flood risk management. 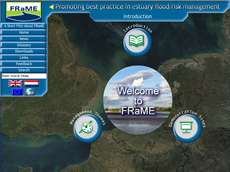 FRaME: 'Flood Risk management in Estuaries: Sustainable New Land Use in Flood Control Areas' is a transnational project for developing innovative solutions for flood risk management in estuaries. The project combines a range of transnational activities with demonstration sites that are located in the UK, Belgium and the Netherlands. FRaME is co-financed by the European Union Community Initiative Programme Interreg IIIB North Sea Region and ran from 1 January 2003 to 31 December 2006. 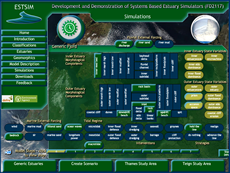 This web-based interface presents the concepts developed within, and outputs from, R&D project FD2117, Development and Demonstration of Systems Based Estuary Simulators (EstSim). The Project has been completed as part of the joint Defra / Environment Agency R&D Programme, and within Phase 2 of the Estuaries Research Programme. The project team comprised experts from ABPmer, University of Plymouth, Delft Hydraulics, University College London, Discovery Software and HR Wallingford. NineNil is a complete online squash and tennis league management system designed by players for players. It enables the organisation of the leagues to be conducted on-line. NineNil automates the workload traditionally completed by the league organisers. NineNil provides access to fixtures lists, results, verified score cards, divisional tables, player ranking lists and player statistics. It can be viewed by teams, its members, and other clubs. For the participating clubs and teams, it is a secure password protected system providing access to league set-up features, player rankings lists and score cards. NineNil Box is a box league and ladder management system designed for squash and tennis clubs. It also has a secure login facility and provides statistics and online score entry. 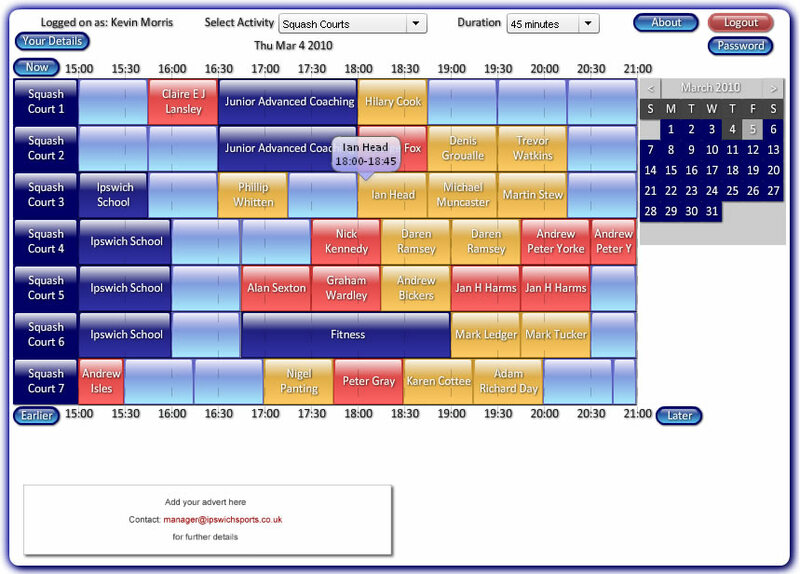 WebBookings enables online bookings for sports including squash and tennis clubs and Sport's Centres. If your club has fitness classes these can also be booked online. For members booking a court is a very simple process. You log on, click on the court you require and click again to confirm. It is that simple. If you need to cancel a court then simply select it and click on delete. Admin users have more functionality including checking people in, marking a court as no show, setting numerous preferences, adding/editing members, block bookings, and classes, and viewing reports. We have a demo site you can view (email us for details), an online video and find more information here. 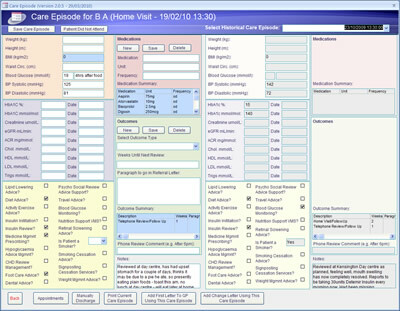 We have developed many bespoke applications over the years some of which are highlighted here. We have experience in most languages so whatever your requirements you can be sure you will receive top quality products delivered on time and to budget. 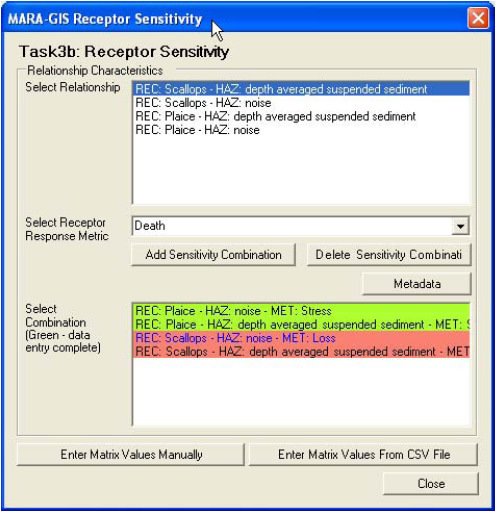 MARA-GIS (Marine Aggregate Extraction - Risk Assessment Framework) - An expert system GIS for assessing risk in dredging projects for HR Wallingford Ltd.
Automatic extraction of estate agent web-based data into a PowerPoint slide show for a window display for Barbets Estate Agents. Animated and web-based weather and tidal forecast maps for the oil industry in the Gulf of Mexico for Fugro Ltd. Database and website for Mass Balance project monitoring import-export-waste-recycling of UK products for Forum for the Future. Prototype educational website for Fishualis relating to sustainable fisheries.